Following the successful launch of Bogotá39, which identified many of the most interesting upcoming Latin American talents, including Daniel Alarcon, Junot Diaz (Pulitzer Prize), Santiago Roncagliolo (Independent Foreign Fiction Prize) and Juan Gabriel Vásquez (short-listed for the IFFP), and Beirut39 which published Randa Jarrar, Rabee Jaber, Joumana Haddad, Abdellah Taia and Samar Yazbek, in 2014 Africa39 brought to worldwide attention the best work from Africa and its diaspora. The judges selected from up to 200 submissions researched by Binyavanga Wainaina, the founding editor of the acclaimed Nairobi-based literary magazine Kwani?, and the writers' names were unveiled in Port Harcourt and at the London Book Fair in April 2014. Africa39 is published in English throughout the world by Bloomsbury. 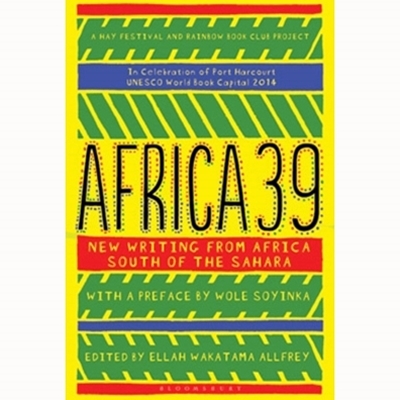 Africa39 is a Hay Festival and Rainbow Book Club project which aimed to select and celebrate 39 of the best young African writers from south of the Sahara.